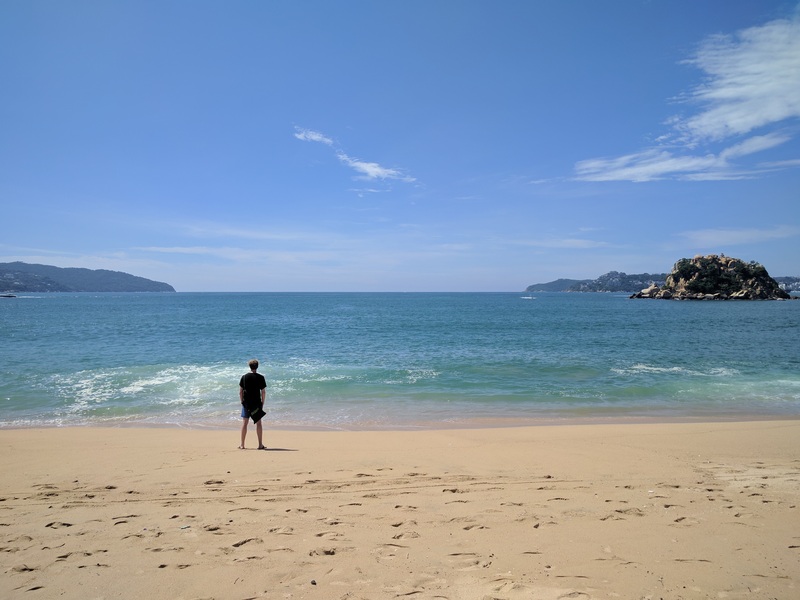 Top 5 Things to Know Before Going to Mexico - Blog Away! Thinking about studying abroad or simply even traveling to Mexico? You’ve come to the right place to get some quick tips on things you should know before hopping on the plane. I studied in Mexico for three semesters so now let me bestow what I’ve learned and transfer it on to you. 5. All of Mexico isn’t hot, it does get cold. Mexico City’s altitude is 7,382 feet. The city where I lived (Cuernavaca) was at 4,954 feet. To get between these cities you had to drive in the mountains and it actually got to right above freezing one night in the December. Now there are places where is does not drop below 65 degrees. I went there, it’s called Acapulco and I wish I could just stay there forever. With that being said, Google the average weather for the place that you’ll be visiting. 4. The public transportation is superb. Even outside of the big cities such as Guadalajara and Acapulco, there exist no need to own a car because the bus systems are extremely efficient. Even in cities such as Tepoztlán, Tlaquiltenango, and Taxco, that are places you’ve probably never even heard of, exist an intensive public transportation system. When I did drive, I spent more in parking and toll fees than if I had just taken the bus to my destination. Here in the United States and other more technological advanced countries, using ‘tap and go’ payments or apps such as Cash App and Venmo have been around for a while now. We hardly ever carry cash on us anymore because there is no need. Mexico is still a cash based society. On payday, you’ll see lines of people outside of banks and ATMs to go withdraw cash. My rent was only accepted in cash, my school only took cash (tuition could be payed with card), and most local restaurants were cash. I used my card at big brand name stores like Walmart and OXXO because they were the places who accepted them. Even then it would only be Master Card and Visa. American Express is just now breaking ground and Discover is just a no go in Mexico. 2. Don’t be afraid of the street food. Some of the best food I ever had came from behind a gas station on the side of the highway at 2:30 A.M. A lot of people will talk about food poisoning and this and that. I say it’s worth the risk. I wouldn’t have been able to eat the extraordinary food that Mexico has to offer if I was consumed by worry. Say yes to everything. Just know where the nearest bathroom is just in case. 1. Mexico is safe, if not safer than any place in the U.S. Many people think and myself included before I went, that Mexico is just some third world country ridden with violence. It is neither. Millions of people vacation there every year and more and more are choosing to study and move there. I never felt unsafe during my three semesters there. I was never robbed or even discriminated against. In fact, I’m looking to continue my education in Mexico City once I complete my undergrad. Simply use common sense and you’ll be fine. That’s it. I and the millions of people who call Mexico home are living proof. keep eye out for my next post when I talk about the top 5 things you should know before going to Spain. Hasta luego.